Free TRIAL Reset Key – how to use it? | WIC Reset Utility. Reset the Waste Ink Pad Counters by WIC. 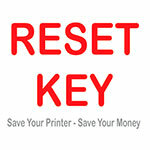 This TRIAL Reset Key will work ONE TIME for each printer device. Waste counters will be reset to 90%. Please watch video manual how to reset Epson L120 free by trial reset key. This resetter can be used with other supported models. For Canon printers Trial keys doesnt exist. You have to use regular Reset key.